An impressive list of veterans may be available at the NHL trade deadline on Feb. 26, but the question is how many teams will be shopping and what they are willing to pay. 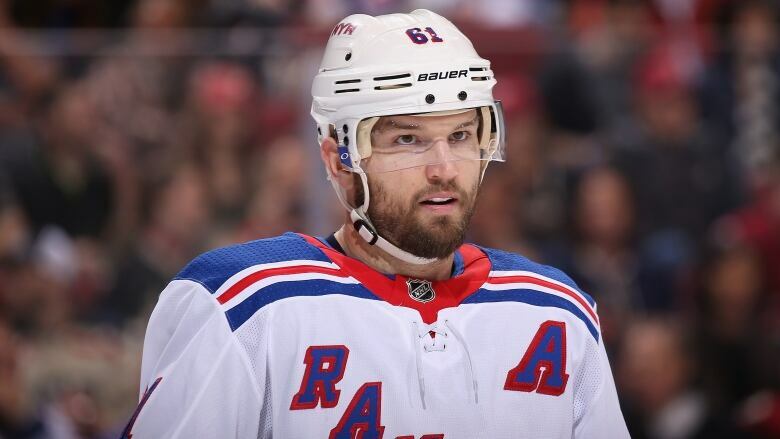 Rick Nash, Evander Kane, Thomas Vanek and Mike Green are among the players due to become unrestricted free agents this summer and who are expected to move at the deadline. Others still with time on their contracts — Ryan McDonagh, Max Pacioretty and Derick Brassard, to name three — have also been mentioned in trade speculation. But as Nashville Predators general manager David Poile said this week: "Prices are pretty high. I think we're closer to doing nothing than something." Of course, Poile has already done some shopping with the Nov. 6 three-team deal that brought in centre Kyle Turris from Ottawa. With centre Mike Fisher coming out of a retirement and due to start playing in March, the Predators look to have filled their main need, although the team that reached the Stanley Cup final last season and feels ready to take one more step may still want to add depth on the wing before the deadline. But as much as sellers insist on big returns and buyers plead poverty, a lot of deals usually end up happening, even if most involve fringe players, minor leaguers or low draft picks. And there is always the chance of a blockbuster. New York Islanders star John Tavares is an impending UFA and may be wondering if there is a Stanley Cup in the team's future or if he's better off testing the market. The New York Rangers made a bold move last week in announcing plans to rebuild the team around younger players, warning fans that some familiar faces were about to be dealt away and asking for their patience. The Rangers, widely lauded for their honesty, have Nash, Michael Grabner and Nick Holden due to become UFAs. They may also seek to move McDonagh, who has a year left on his contract, and perhaps even Mats Zuccarello and Chris Kreider. Nash, 33, is a three-time 40-goal scorer who could give a team seeking a scoring winger like St. Louis or Calgary what they need, at least in the short term. But the price may be steep. And some GMs may be wary of paying a lot for "rental" players, as Washington did last season by sending a first and conditional second round pick plus two prospects to the Blues for defenceman Kevin Shattenkirk — then losing to Pittsburgh in the second round of playoffs. Minnesota paid three picks, including a first, and a prospect to Arizona for Martin Hanzel and Ryan White. Selling teams want what the Blues and Coyotes got. Ottawa has set a price of a first rounder, a prospect plus a third asset for Brassard, a centre who has one year left on his deal at $5 million US. Montreal would likely demand the same for left winger Pacioretty, a five-time 30-goal scorer who also has a year left at $4.5 million. The Senators got started this week when they sent veteran blueliner Dion Phaneuf to Los Angeles and agreed to take on the aging Marian Gaborik in a multi-player exchange. Ottawa could also say good-bye to impending UFA defenceman Johnny Oduya. GM Pierre Dorion, emboldened by a three-year contract extension last week, may also get inquiries about physical forward Bobby Ryan. Canadiens centre Tomas Plekanec, whose scoring has plunged but who remains a solid all-around player, can be a UFA this summer and may on the block. One team that may be interested in the 35-year-old, if they can fit it under their salary cap, is the Pittsburgh Penguins, although the defending Stanley Cup champions may try to get the much cheaper 41-year-old Matt Cullen back from Minnesota. The Wild are still in playoff range and may want to keep him, however. Vanek on the move again? Toronto has three impending UFAs, but may opt to keep James van Riemsdyk, Tyler Bozak and Leo Komorov for the playoffs. Edmonton, which expects to be a contender next season, may move UFA winger Patrick Maroon and centre Mark Letestu. Vanek seems to change teams every trade deadline and the UFA will likely be dealt as Vancouver rebuilds with youth. Calgary is in a playoff spot and may be looking for a scoring winger. A problem is that they have no first or second draft pick to deal. They have UFA centre Mikael Backlund, but may want to keep him. Winnipeg is in Cup contention now and will probably be looking to add depth on defence and up front. Defencemen on the market should include Detroit's Mike Green, whose defence has always been suspect but who is a strong puck-mover and shooter, and Jack Johnson, a UFA who has asked out of Columbus. The contender probably many teams will want to deal with is Tampa Bay, who are said to covet an experienced defenceman. The Lightning organization is stacked with prospects, including juniors Taylor Raddysh, Boris Katchouk and Brett Howden and minor leaguers Mathieu Joseph, Anthony Cirella and Mitchell Stephens. Will Golden Knights be surprise buyers at NHL trade deadline?